The market for Windows phones has been on the decline for a while now, and after a grueling series of issues, it seems like Microsoft is finally ready to abandon the company's mobile platform. In a series of tweets, Microsoft Corporate Vice President Joe Belfiore stated that while the company would continue to support the Windows Phone platform, the development team will stop focusing on new features and instead simply focus on providing security updates and other small fixes. This information coupled with the abysmal sales and adoption of the Windows Phone can be seen as a formal signal that the entire platform is now dead. 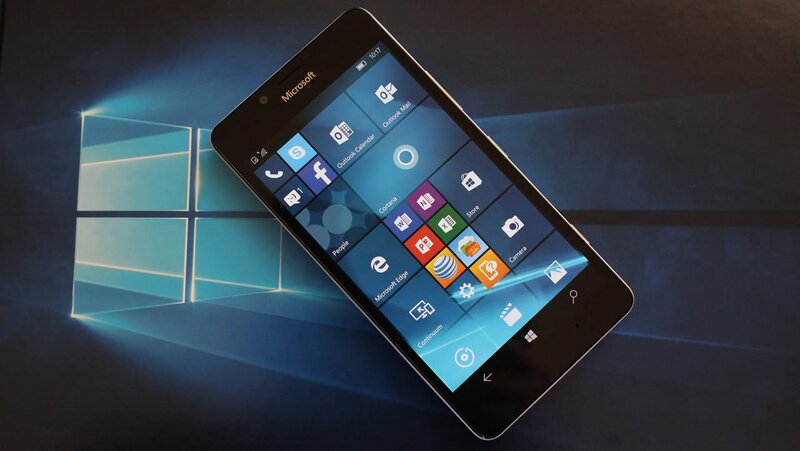 Here's what this means for the smartphone market as well as Windows Phone users. What Happened To Windows Phone? Microsoft had managed to expand the Windows Phone's market straight from its debut in December 2013 all the way through December of 2014. From that time moving forward, the company's sales stayed on a steady decline, with the the overall market share falling under 1% in May of last year and down to 0.3% this February. Naturally, devices like the Lumia phone have all but gone extinct, and while just over 100 million Windows Phones from Microsoft and Nokia have been sold to-date, Google's open source OS Android currently runs on more than 2 billion active devices per month. Though the competition has been high and the adoption has been low, Belfiore believes the true problem faced by Windows Phone was keeping apps and apps developers investing in the platform. Though Windows Phone is finally fading away, there's still some hope for users that enjoy using their Windows mobile devices. Updates will continue to be rolled out to users that include bug fixes, patches, and other security updates, which should at least help keep devices servicable for the foreseeable future. However, the time will eventually come around for a new device, and that means choosing between the biggest competitors to Windows Phone: iOS and Android. As for which OS is preferred, Android does seem to be the biggest platform on the market. Additionally, both Bill Gates and Belfiore himself admit having moved to Android for their mobile phones, for whatever that may be worth. And though Windows just couldn't keep up with either iOS or Android, Microsoft plans to continue supporting both iOS and Android devices on Windows 10. Due to the open-ended nature of Android, there is one cool feature that may interest Windows Phone users who move on to Android devices: it's called the Microsoft Launcher, and on top of functioning like any other launcher, Microsoft's launcher allows Windows PC users to seamlessly view photos, read websites, and continue viewing photos between both computer and phone. It might not be a perfect Windows Phone alternative, but at the very least, it should keep that Windows feeling alive even after Windows Phone inevitably disappears. Modojo hasn't put together a list of the best games on Windows Phone, and at this rate, we probably never will. Fortunately, we've got many games for both Apple and Google fans featured on our lists of the Best iOS Games and the Best Android Games.